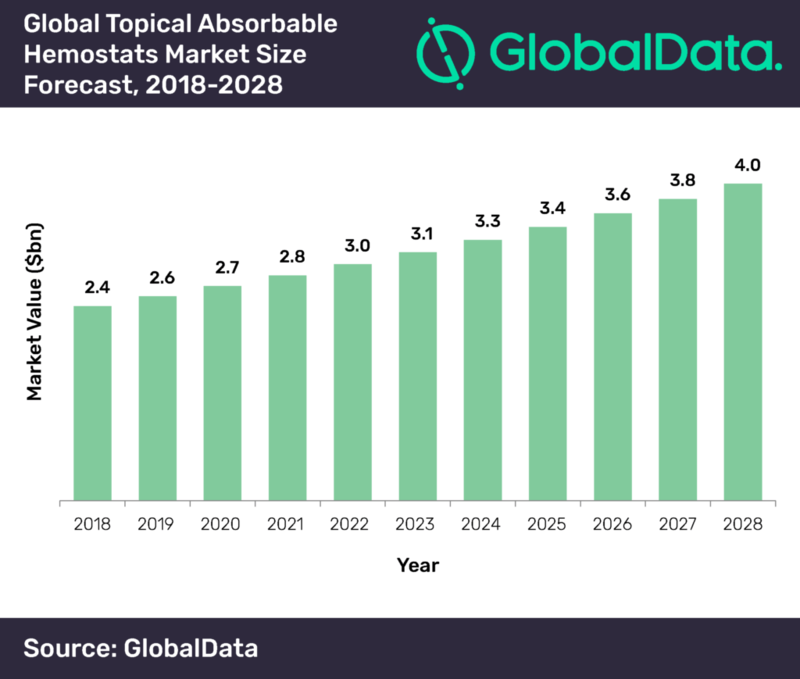 The global topical absorbable hemostats market is expected to grow at a compound annual growth rate (CAGR) of 5% to reach $4.1bn by 2028, according to GlobalData, a leading data and analytics company. The company’s latest report, ‘Topical Absorbable Hemostats – Wound Care Market Analysis and Forecast Model’ reveals that North America will be one of the fastest growing regions at a CAGR of 6.3% between 2018 and 2028, with South Central America and Asia-Pacific following closely behind at 5.5% and 5.1%, respectively. Combination Hemostats-Pads remain the largest market category as they are the preferred hemostat of choice for physicians due to better control of moderate bleeding. On the other hand, cheaper products such as Oxidized Regenerated Cellulose-based hemostats and Gelatin-based hemostats are increasing in popularity in emerging nations, such as China and India where healthcare purchasing is always cost-sensitive. Barriers to market growth include the increase of laparoscopic procedures. Compared to open surgeries, laparoscopic procedures do not require as many units of hemostatic agents with smaller incisions, less bleeding, and fewer risks for complications.